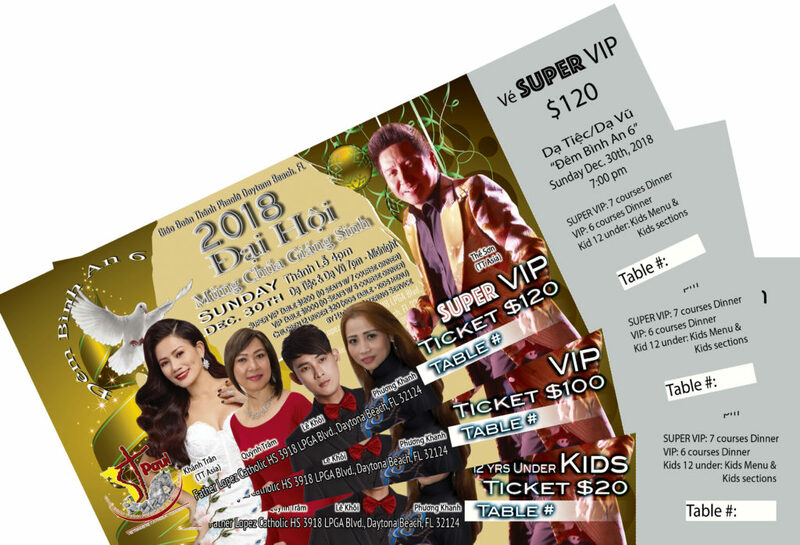 The 2018 Vietnamese Christmas Celebration is a program organized by the St. Paul Vietnamese Catholic Community of Daytona Beach. Our organization was founded in 2007 at St. Paul Basilica of Daytona Beach, Florida. Father Andre Chien Nguyen provides spiritual support and mass services the first and third Sunday of each month at Father Lopez Catholic High School Chapel. 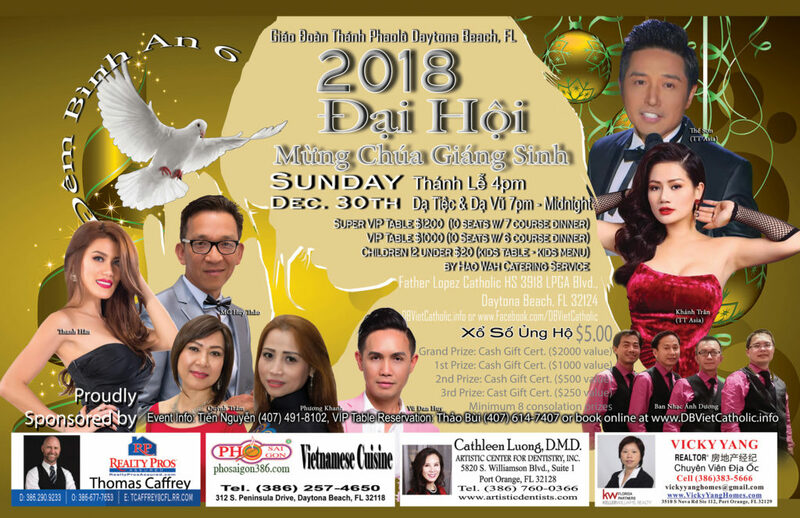 Purpose of Event: To celebrate Christmas and welcome the New Year for members and non-members of St. Paul Vietnamese Catholic Community of Daytona Beach and the surrounding areas. Kids 12 under: $20/kid – Kids Menu/Kids Table (Kid admission will have separate seating area. Kid Seats are limited. (5) Consolation Prizes: Winning Tickets – #3246 (Thinh Chau), #1736 (Vu Thanh Thien), #2673 (Scott Chase), #1837 (Son Hanh), #1037 (Thinh Chau), #2031 (Ng Quoc Hung), #2199 (Lam Le), #3304 (Tri Hoang).